Apple has released the third beta versions of iOS 11, macOS 10.13 High Sierra, and tvOS 11 for users participating in the beta testing programs. 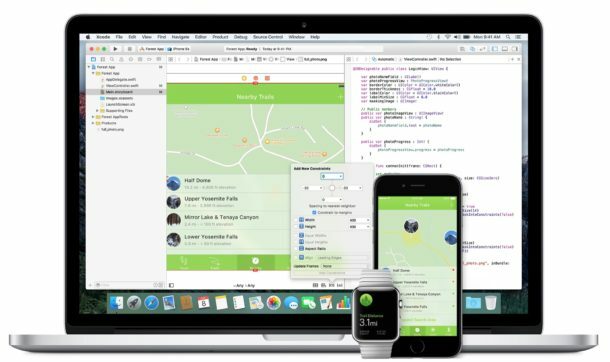 iOS 11 developer beta 3, macOS High Sierra 10.13 developer beta 3, and tvOS 11 developer beta 3 are each available to download now for those enrolled in the Apple developer system software beta testing programs. The third public beta was not released concurrently but is typically soon to follow the release of developer betas. 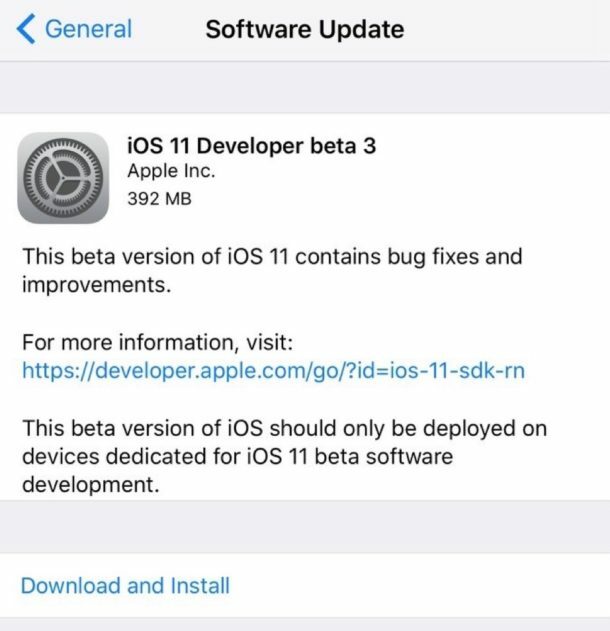 iOS 11 beta 3 can be downloaded via the Software Update mechanism of the Settings applications. macOS 10.13 High Sierra beta 3 can be downloaded now through the Mac App Store Updates tab. tvOS 11 beta 3 can be downloaded through the Settings app on the Apple TV as well. Presumably an update to watchOS 4 beta will be available shortly as well for Apple Watch testers. Beta system software is less stable than final public builds and thus best kept to more advanced users, though the public beta program makes it easy for anyone to participate in beta testing if they desire. iOS 11 public beta can be installed (and later downgraded if need be) and macOS High Sierra public beta is available too (and also downgrade-able if you have a Time Machine backup handy). The final versions of iOS 11 and macOS High Sierra will be available to everyone this fall. Beta 3 runs as smooth as milk! This relase is not for Beta testers but for developers only. Just updated my devices to latest iOS 11 beta 3. Things are more than good with beta 3. The public beta version just went live for the rest of us!